In today’s fast moving world, it is the network that brings business. It is always expected to receive emails as soon as it is sent and no one wants to miss an email at anytime. 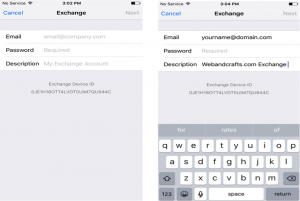 Learn how to set up your email using Microsoft Exchange for iPhone. It’s a simple matter of a few clicks, but lots of people get it wrong. This tutorial can be particularly helpful when you first set up a new device for yourself. 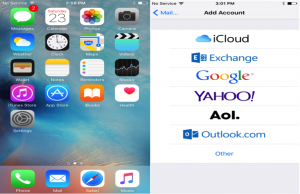 In 4 simple steps, you can configure an email account in your iPhone. 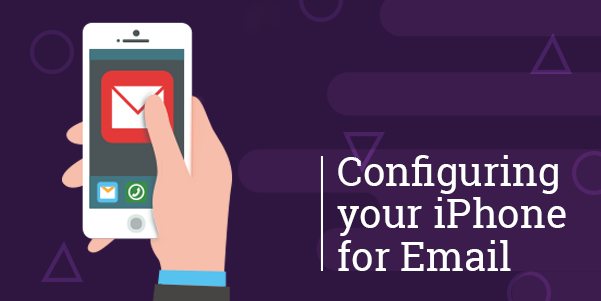 If you haven’t setup any email accounts yet, from the Main Menu, select Mail. Then choose Microsoft Exchange from the list of options available. If you have already set up another mail account, from the main menu choose Settings, then click on Mail, Contacts, Calendars and then select Add Account. You will be prompted to fill in your email address, password and description. Fill your full email address and account password in the Email and password fields. Also add a description of your choice. Depending on your firmware version you may also see a Domain field, which you can leave blank. Once you have completed filling in the fields, click Next to proceed. 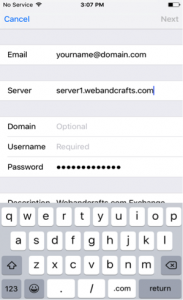 Your device will attempt to connect to the server and will then prompt you to fill in the Server Name. Click Next to complete the setup. 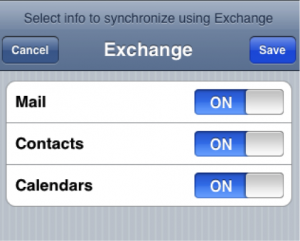 If you want to synchronise your Mail, Contacts and Calendars, select the options you want and click Save. That’s it. Hope this will help you to stay updated in this connected world. If you have any suggestions or opinions about the article, let us know in the comment section. Does your Project Demand Expert Assistance? Contact us and let our experts guide you and fulfil your aspirations for making the project successful.